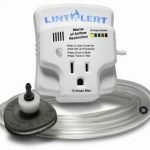 Did you know the U.S. Environmental Protection Agency (EPA) has cited indoor air pollution as one of the top five growing concerns in our country today? “As [we] spend most of [our] daily lives in homes, offices, schools, health care facilities or other buildings, the quality of the air [we] breathe indoors is critical for [our] health and well-being,” says Dr Srdan Matic, Unit Head, Noncommunicable Diseases and Environment at the WHO (World Health Organization, 2009). Dirt, mold, bugs, mites, and other “stuff” are all living in your duct system. We can get rid of it all with a whole-house duct cleaning. Duct cleaning can improve your health and safety by eliminating molds, bacteria and germs from source and recirculated air, keeping your entire South Florida home cleaner and healthier. You and your family can breathe easier with duct cleaning! A Lindstrom Air Conditioning professional whole-house duct cleaning uses specialized tools to dislodge dirt and debris in air flow systems followed by a thorough sanitizing process. Duct cleaning includes the cleansing of various heating and cooling components of forced air systems, including the supply and return air ducts and registers, grills and diffusers, heat exchangers and cooling coils. With your family’s health and safety at stake, you don’t just want anyone cleaning your ducts. Lindstrom technicians are Air Systems Cleaning Specialists, certified through the National Air Duct Cleaning Association (NADCA). Members of the NADCA are bound by a special code of ethics and excellence that includes using the only best products and performing the most efficient source removal methods learned through specialized training. The NADCA also employs an anti-fraud specialist to ensure that you receive the highest quality service. 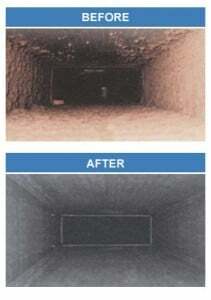 For more on duct cleaning or any of our other Fort Lauderdale area products and services, please contact us today. Don’t forget to ask us about our exclusive 100% Satisfaction Guarantee!